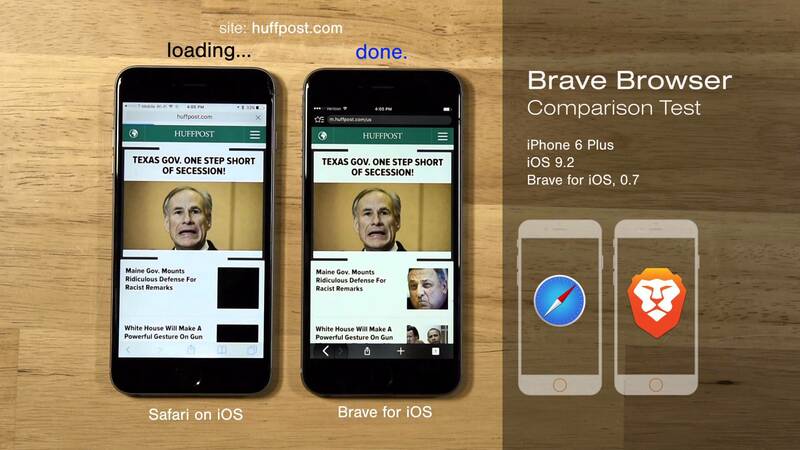 A new Internet browsing application is about to the hit the streets, called Brave, aimed at combating intrusive ads that slow down your mobile browsing experience. If you have ever been the victim of slow load speeds on websites, it’s most likely that ads are the culprit. With Brave, ads that slow your load speed will be replaced by ads that are “clean,” meaning that the site owners will still get paid, but your browsing experience won’t be greatly hindered. When you first load up a webpage, a site using ad technology that tracks you can place cookies and other miscellaneous content onto your browser, which in turn, allows an ad to show things relative to what you have been looking at online. For example, if you browse Amazon, then head to another website, you might see an ad for whatever it was you were looking for on Amazon. This is nothing new, but for anyone not looking to be tracked constantly on the web, Brave wants to solve this problem, while also not hurting content creators. According to Brave, “Up to a whopping 60% of page load time is caused by the underlying ad technology that loads into various places each time you hit a page on your favorite news site. And 20% of this is time spent on loading things that are trying to learn more about you.” To help combat this issue, the Brave browser strips all of the non essential data away, leaving only the true content you want. However, doing so does not hurt the sites you know and love. Instead of being a straight ad-blocker, Brave replaces those intrusive ads with clean (no tracker, pixel watcher) ads, and users can decide to go ad-free (payment) on the sites they truly want to support. It’s a win for users, and a win for content creators. The app has yet to launch, but is completely open source, with the Android version viewable on GitHub right here. A beta for multiple platforms is available, but currently, there is a waitlist. If this app interests you, you can sign-up for the beta on the Brave website. Poll: Do You Use a Fingerprint to Unlock Your Phone?